Thinking in terms of Hero only is limiting. The Protagonist and the Main Character do NOT have to be the same character. While they very often are, splitting them apart can help give a story more dramatic depth. This was one of the first concepts that stood out for me when I was first diving into Dramatica. Up until then, every single storytelling guru I had come in contact with, from Syd Field to Robert McKee, had told me that these two characters were one in the same. A Main Character is the player through whom the audience experiences the story first hand. A Protagonist is the prime mover of the plot. A Hero is a combination of both Main Character and Protagonist. What? How can that be? I always thought heroes were mythic larger-than-life characters like Superman or Luke Skywalker. How could this computer program have the audacity to change terms around on me like this? In other words, a hero is a blended character who does two jobs: move the plot forward and serve as a surrogate for the audience. When we consider all the characters other than a Protagonist who might serve as the audience’s position in a story, suddenly the concept of a hero becomes severely limited. It is not wrong, just limited. Limited. That really struck a chord in me. I always felt that those other story paradigms had a narrow view of how to tell a story. Their approach to structuring a story certainly worked, but it always felt a little too formulaic. Suddenly, after reading the above quotes, all sorts of new dramatic potentials were open to me. I had a tool to write something different. It was freeing. And it simply made sense. The value of separating the Main Character and Protagonist into two different characters can be seen in the motion picture, To Kill a Mockingbird. Here, the character, Atticus, (played by Gregory Peck) is clearly the Protagonist, yet the story is told through the experiences of Scout, his young daughter. Of course. In that story, you get two very different perspectives on the impact of racism. 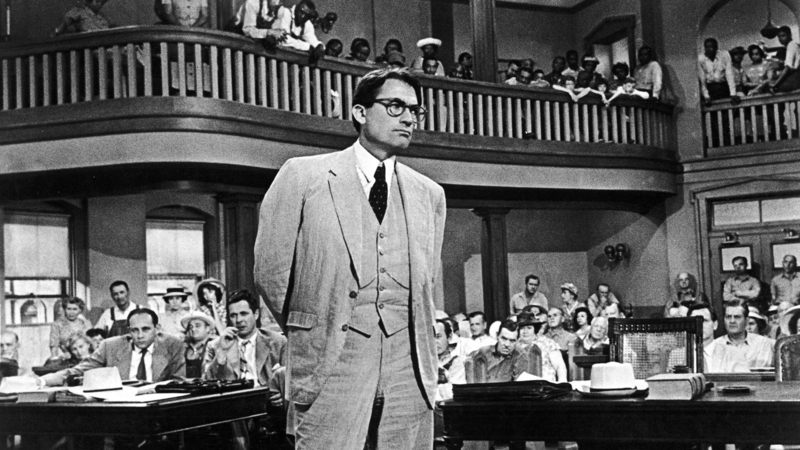 You get the very obvious, very objective view of it with Atticus fighting it out in the classic courtroom scene. But you also get to feel it very personally from the perspective of Scout and her predisposition towards the scary Boo Radley. To Kill A Mockingbird was a fantastic movie (and an even better novel). Now I had the tools to write something just like it (well, maybe a little talent would help too!). Let’s take a look at the greatest movie of all time: The Shawshank Redemption. Story gurus in the past have always assigned Tim Robbins’ character Andy Dufresne to the role of Main Character/Protagonist. After all, he’s the guy we are rooting for—the one who has been unjustly imprisoned—and consequently, the one we really want to see escape at the end. But do you really feel as if you’re experiencing the story through Andy? Do we get to known him intimately and develop a strong empathy with him? Not really. We witness Andy’s actions from a distance. Remember the scene of him sitting there soaking in the sun on the rooftop? If he was the Main Character we would’ve seen and felt what it was like to have overcome an “accidental” drop off the roof—we would’ve identified with him emotionally. Instead, we watch that smile on his face and wonder what he’s thinking. We watch and feel the impact of his actions on us. Dramatica identifies two different kinds of characters: those who represent an audience point of view, and those who fulfill a dramatic function. Andy is in the story to pursue and escape. The warden is there to prevent him from succeeding. These are dramatic functions of the overall story—not points of view. By now, it should be apparent who the Main Character in Shawshank is. In fact, it might’ve already been obvious to you. You just didn’t know why. Morgan Freeman’s Red is our emotional, personal connection to the story. He’s not driving the story—we could care less whether or not he succeeds in escaping or overcoming the warden. Instead, his dramatic function is that of a sidekick or helper. However, when it comes to the Main Character, we’re not interested in the big picture story—we’re after the more intimate one. Note how in the very first scene with Red we don’t even see his face! Instead, it is us (the camera) taking his place and walking through that door into the parole boardroom for “evaluation”. A better visual representation of experiencing the storyline from within would be hard to find. Andy also has another role in the story—that of Red’s Influence Character—but I’ll go into that more later when I take a swing at the analysis for this great film. For now, it is enough to realize that the Protagonist of your story does not have to be the Main Character. Splitting the roles of Protagonist and Main Character into different characters can widen the breadth of your dramatic argument. By separating them, you can analyze all the different perspectives of your central idea—you can watch it play out objectively, and you can experience firsthand, from within the story.